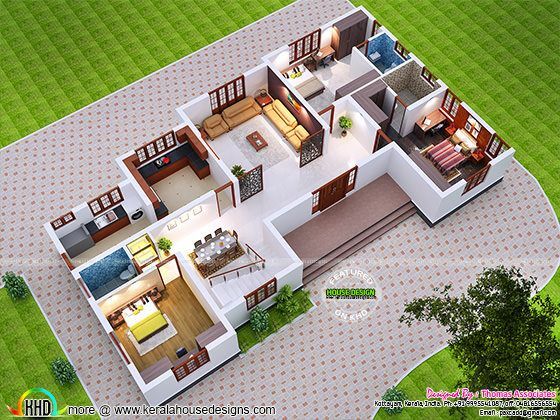 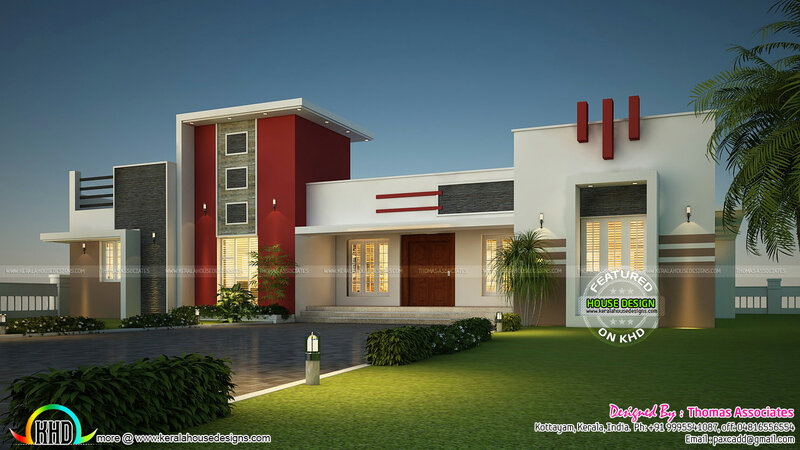 3d floor plan and elevation of single floor house in an area of 2200 Square Feet (204 Square Meter) (244 Square Yards). Designed by Thomas Associates, Kottayam, Kerala. 0 comments on "2200 sq-ft feet elevation and 3d floor plan"